America was created by countless people born elsewhere and hoping for a better life. The hit reading series 650 tackles the topic of immigration with another riveting literary event on the stage of the Ossie Davis Theater. Limited to five minutes and just 650 words, a dozen regional writers will read aloud their true stories of immigrant struggles and success. Produced by the acclaimed 650, the program is made possible by the New Rochelle Council on the Arts, the Friends of the Library, and suggested minimum donations of $10.00. 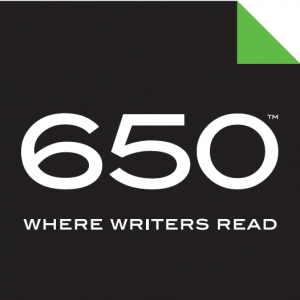 Visit Read650.com for additional information and upcoming submission topics. A reception will follow.